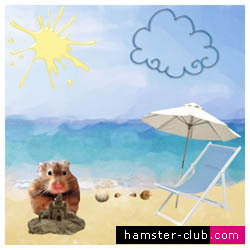 Hamster-Club's July - August 2009 newsletter outlines the main developments of Hamster-Club and the new hamster articles featured on this hamster site. To view the online newsletter please click here. Can Hamsters Be trained not to gnaw? Sale on 'Hamster-Club Guide Book'. What to look for in a hamster wheel. 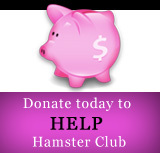 Our hamster club featured in various newspapers and magazines. 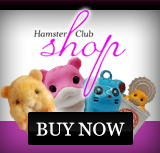 20% sale on hamster-club products. *photo/design of above pic by Klara Salamońska.